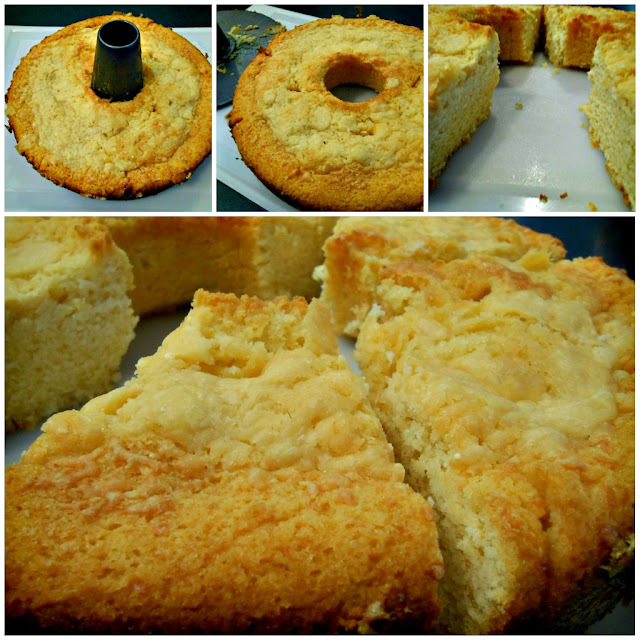 I was super excited while prepping my first condensed milk pound cake and was in love when I took my first bite. I can say my love affair with the cake is solid but I thought why not incorporate my other love into the cake? Yes--- grated cheese! So I've been adding grated cheese when the cake is almost done so the result is a nice cheesy crunch on top when you bite into it before your teeth slides down to the dense but tender goodness of the cake. Preheat oven to 325. Butter and flour pan (I used a spring form pan this time which yielded a shorter cake). In a small bowl, combine flour and baking powder, then set aside. 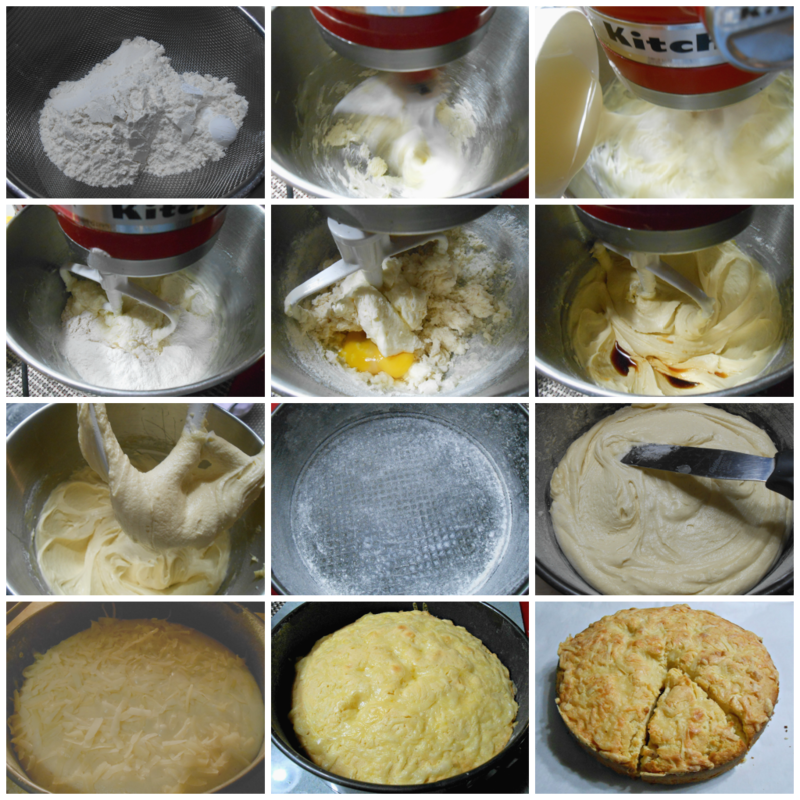 In a separate bowl, cream butter, sugar and salt until light and fluffy with an electric mixer, about 2 minutes. Add condensed milk and mix until just combined. Add the dry ingredients, mixing just until all of the flour disappears into the mixture. Add eggs, mixing until combined. Stir in vanilla extract. Spoon batter into prepared pan, smoothing the top with a spatula . Bake for 40-50 minutes, or until a toothpick inserted into the center comes out clean and the top is golden brown and don't forget to sprinkle the grated cheese on top when the cake is almost done- maybe ten minutes away. I used grated Dubliner cheese for this one in a fluted pan. The sweet nuttiness and aged Parmesan bite works really well with the dense but moist cake.